Its a classic late autumn day in Sydney today. Sunny and clear, autumn is my favourite time of year because of days like these. 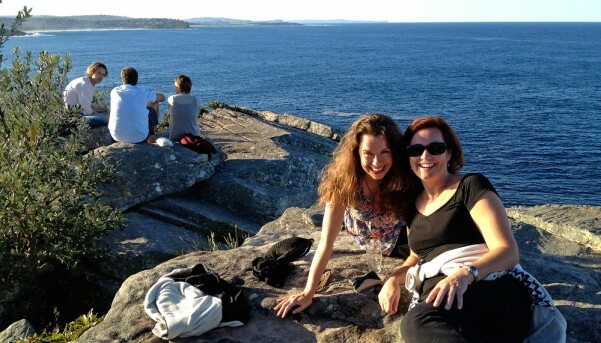 A few friends and I went for a walk around to Shelley Beach near Manly, and sat up upon the cliffs above enjoying the sun and the beauty of it all when a Humpback whale popped up right in front of us! We called out to the people sitting near us and we all watched in amazement as the whale continued on North. Our new friends shared some of their champagne with us and we all celebrated this magic moment. What a wonderful way to start the 2012 season.